Our BT45 series seamlessly integrates your vehicle's OEM sound system with Bluetooth® enabled devices so you can make hands-free phone calls and wirelessly stream audio media. 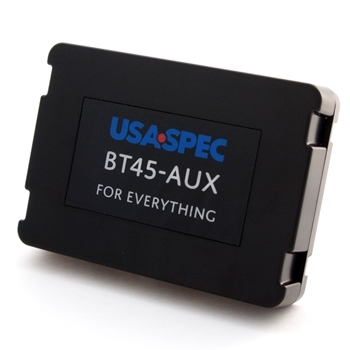 The BT45-AUX model is designed for universal application. It will work with any vehicles with a factory AUX port or with any USA SPEC PA series. If you have an older vehicle that is not equipped with a factory AUX but is compatible with one of our PA11 or PA12 series interface, you can connect the BT45-AUX through the PA series RCA port. Can be added to vehicles with existing factory Bluetooth® systems that have unsatisfactory sound quality or are defective. 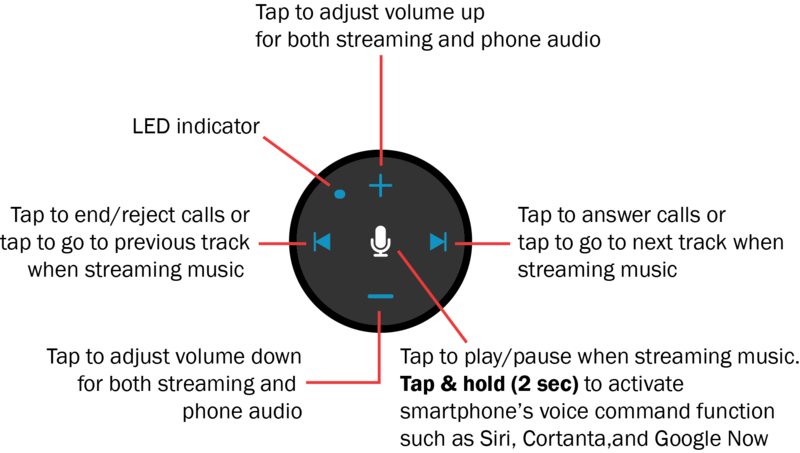 Stream music, podcasts, and GPS directions from apps such as iHeart Radio, Spotify, Google Maps, Waze, and YouTube. Affix the remote control to the dashboard area using the enclosed double-side tape—avoid areas around airbags or under direct sunlight.